Rugby shorts for boys. Made of resistant fabric. Stretch fabric contrasting inlaids. Contrasting side trimmings. Normal fit. Inside leg panel to improve wearability. Two-colour. Specially designed for rugby. The Grubber rugby shorts by Erreà are the best garment to wear to your most important games. Made of a technical and extremely rugged fabric, they allow you to unleash the strength and the power within you even in the toughest scrums. 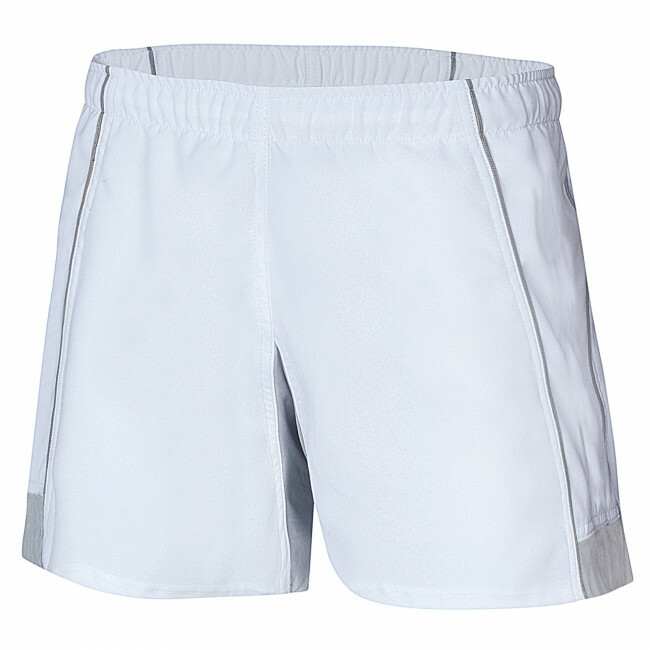 To provide you with the best possible performances, we made this shorts with the best technology on the market: to improve wearability, we inserted an extremely comfortable panel on the inner side of the leg. Furthermore, the internal inlaids, made in contrasting stretchable fabric, shall keep the garment well wrapped around your body lines at all times, even when you are running towards your goal. This model has been specially designed for boys and is particularly suitable to be worn during competitions.